Fair Trade Month is a time to spread the word about who and where our products come from. This means putting the spotlight on challenges like child labor in cocoa and slavery in seafood, and also celebrating the farms, factories, brands and retailers that are doing things differently. H&M has fallen behind schedule on securing life-saving safety upgrades in their Bangladeshi supplier factories. Such delays are risky for a company that saw 21 workers killed in a fire at their supplier, Garib & Garib, in 2010. H&M is the largest buyer in Bangladesh, and with great power comes great responsibility. In March of 2002, Irvine California saw its first public protest. Ever. Long before you could see anything at Taco Bell headquarters, you could hear something coming. People going about their daily routine stopped and inclined to listen. Prevention is key but it is just as important to be prepared in case of future accidents. This can be done through an employment injury insurance (EII) scheme that spreads the risks across all employers at the national level. Last week, at the invitation of my friend Muhammad Yunus, I traveled to Bangladesh, a truly humbling and inspiring experience. I met so many incredible people struggling to improve their country and their lives. 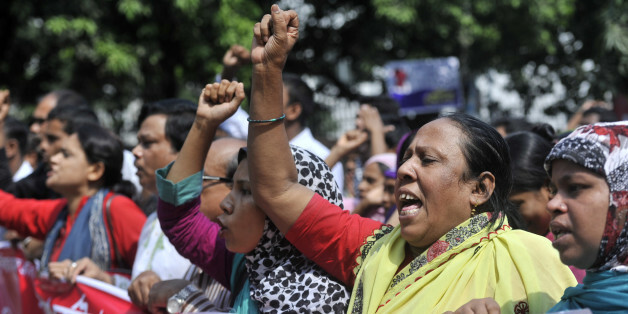 From Shirtwaist to Bangladesh, What's Next? While we decry the atrocious conditions in Bangladeshi garment factors, and guiltily ignore underage labor and worker suicides in Chinese electronics factories, we shouldn't forget to be appalled by the workplace conditions in our own backyard. Tears in the Fabric is a film that is not afraid to look grief squarely in the eye. And that is no small feat in a culture that can so easily go numb to the grim realities behind our consumption. Slave labor is the most serious form of exploitation, and it is not only a threat against the fundamental principles and rights at work, but also confronts the most basic human rights. We recognize that these incidents violate basic human rights, they are avoidable and they must stop. Since Bangladesh Factory Collapse, What Has Changed? The factory collapse was a horrific reminder of how important it is to support companies that make treating workers fairly a priority. That means taking more responsibility as consumers. 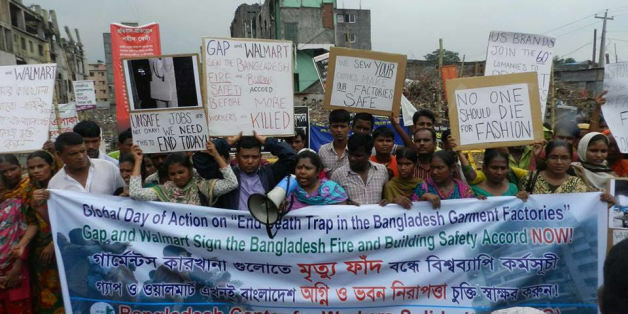 In response to the Bangladeshi factory collapse, many people called for increased safety standards in Bangladeshi garment factories. Although well-intended, these calls for increased regulation, if enacted and enforced, would have reduced the welfare of many of the nearly 4 million workers. For those committed to empowering girls and women, and to achieving gender equality, we must re-double our efforts to right the balance of perceptions: ensuring that images of girls and women reflect their strengths and contributions. Private Regulation: Risk or Opportunity for Global Business? As trust in government rapidly declines, expectations of global business to address and, in many cases, solve social problems are sharply escalating. They are determined to open up a dialogue with city officials and to negotiate a set of basic rights that will formalize their line of work. Perhaps the invisibility of this story has to do with Western media's unspoken criteria for foreign news and, especially, photos.